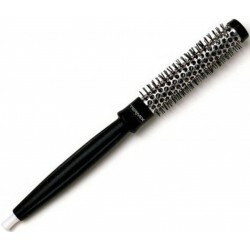 Professional - Just Beauty Products, Inc.
Professional There are 19 products. 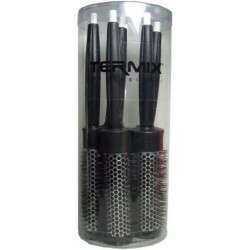 Termix Professional Hairbrush, professional designed aluminum thermal brush with nylon bristles, ideal for all types of hairstyles. Its aluminum coated barrel retains heat longer during the drying process for faster and better styling (reducing 50% drying time compared to other conventional wooden brushes). 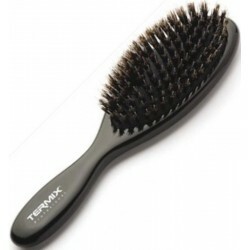 Termix Hairbrush Professional for Extensions is a Pneumatic brush with mix of natural boar fiber and flexible nylon fiber, permits a brushing of hair with extensions without damaging their union or fixation. 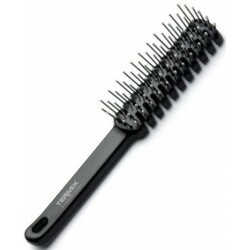 It is recommended for very long, thin hair. 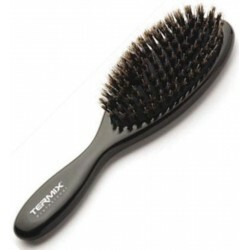 Termix Professional Pneumatic Small Nylon Hairbrush is a Comfortable cushion-base hairbrush with special resistant nylon bristles of scattered lengths for easy detangling and smoothing of dry and straight hair. 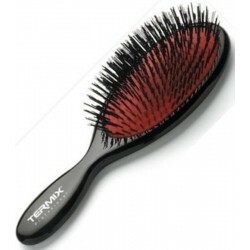 Termix Professional skeleton vent brush with ball tipped nylon bristles designed for gentle detangling on dry hair, especially for short hair and male hairstyles. 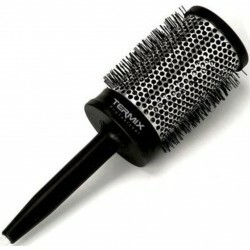 It is also the ideal brush to give hair more volume. 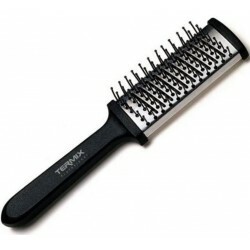 Flat thermal plate aluminum Termix hairbrush especially designed to prepare hair before using the iron and smooth straight hair without volume. It has a vented design for super fast drying. The flat thermal hairbrush incorporates ball tipped nylon bristles, gentle for scalp. Available in two sizes. 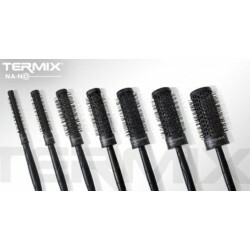 Termix Na.no Bag: High accuracy in 7 brushes Nano Titanium Technology. Eliminate Static, Fight Frizz Hair and Ergonomic Handle design that achieves greater adaptability to the hand. 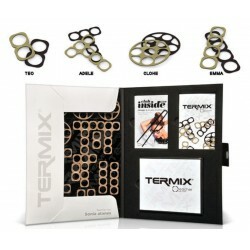 Create Professional, Easy and Fast Hairdos with Termix HAIR TEACHER SYSTEM. It is a revolutionary method that will reveal your inner creativity and help you do outstanding hairstyles in record time. With four simple tools - TEO, EMMA, ADELE AND CLOHE. 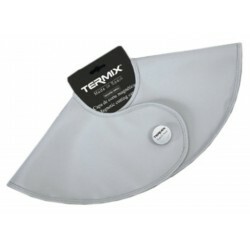 Termix Professional Cutting Cape, one of the most used accessories in the salon. 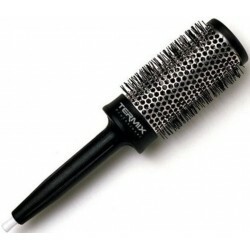 Its weave, mix between PVC and polyester, makes this piece a must-have during a haircut. It has a magnetic button that allows graduating according to the client's neck. 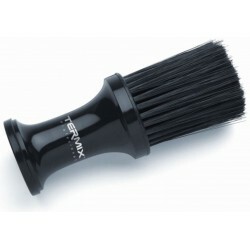 Its shape and weight facilitates the entire cutting process.